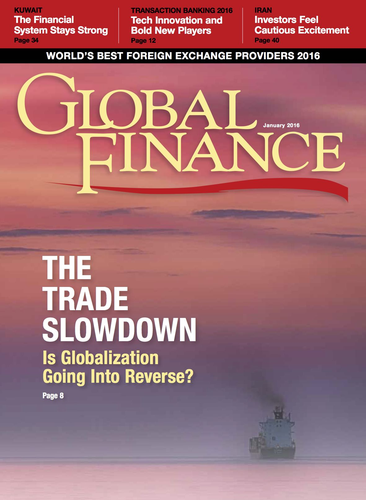 Global Finance: What are the key issues on your radar? Michael Curran: The issue we see overshadowing everything else is the set of extraordinary monetary policies being followed in Europe, and the impact these policies are having on currency and underlying markets. The impact hasn’t been fully comprehended yet, but, based on the available evidence, it is likely to ensure another eventful year for the FX markets in 2016. GF: How is the renminbi’s liberalization impacting foreign exchange? Curran: The announcement at the end of 2015 that China’s renminbi is to be included in the IMF’s Special Drawing Rights basket raises some interesting long-term questions. Not least of these will be whether FX reserve managers globally see this as a reason to significantly increase their exposure to the currency within their portfolios. Time will tell. GF: What are your clients’ main needs in managing FX risk? 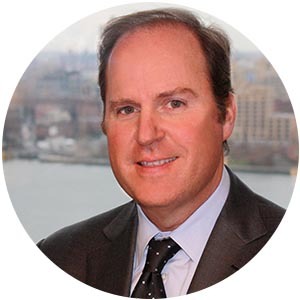 Curran: Client priorities have become abundantly clear: competitive pricing, high levels of transparency, fast and reliable execution, and support for electronic trading across a broad range of systems and platforms. Volatility is only serving to underscore the urgency of these priorities for clients. GF: How can an FX provider address these needs? Curran: Some of what providers need to do relates to technology—the movement toward electronification is irreversible and brings with it a host of system and platform compatibility challenges. But getting services better aligned with changing client behavior and expectations might be an even more important consideration. FX offerings also have to take into account the changes taking place in the marketplace as fintech service providers seek to enlarge their presence. At BNY Mellon, we’re operating as part of a global investments company, and that gives us opportunities to provide FX services related to virtually every phase of the investment life cycle. But competition is compelling us to make our clients’ FX experience with BNY Mellon as efficient, holistic and positive as possible. We understand that whether the client need is investment management, investment services, global payments, currency administration hedging or execution services, we have to approach our FX offerings first and foremost from the perspective of what makes the most sense for the client. GF: Where will the next round of FX innovation come from? Curran: Blockchain technology will only grow in importance as banks become more familiar with its potential and gain more experience with real-world applications. We’re engaged in this research at multiple levels at BNY Mellon: Some of it is focused at the level of particular businesses; other investigations are taking place at a more fundamental technology level; and we’re engaged in collaborative efforts with other banks and fintech organizations. The extent of the dialogue taking place is truly impressive, especially given the complexity of what’s being considered. It may not happen tomorrow or in 2016, but soon thereafter it’s going to have an impact on all of our businesses.